Working closely with our customers and helping them to better serve their own customers is a key focus of all our business activities. It’s particularly relevant in the decorative paints market, where consumers expect to have easy access to a wide range of great products with great functionality. 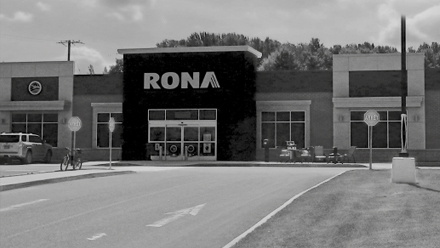 In Canada, we’ve been supplying major retailer RONA since the mid-1970s. As well as stocking our number one brand in Canada, Sico, we also started producing RONA’s own private label in 1980. We were selected on the strength of our great reputation throughout Canada and the superior quality of our products, as well as our first class service. But leadership in the competitive coatings market is all-important and our close links with RONA have now been further consolidated as we have become their preferred paint provider throughout Canada. The agreement means that consumers have full access to a complete range of top quality, innovative AkzoNobel products covering all aspects of interior and exterior decoration and offering unrivalled color expertise. As well as ensuring that RONA customers have a terrific choice of exciting decorating solutions, the strengthening of the business partnership has also resulted in a significant increase in sales. This is in line with our strategy of growing our business, consistently improving our retail offering and investing in more innovative products.